De Graaf Exhaust Systems is a successful and leading supplier of exhaust systems. Starting out in 1958 as a small company dedicated to customer service, on-hand inventory and providing same day delivery, we have grown to a world leader in aftermarket exhaust manufacturing, research and development. 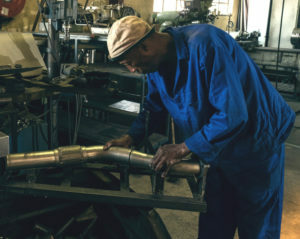 Over the years De Graaf Exhaust Systems has expanded and today employs over 50 employees and stocks over 3 000 products manufactured as one of the industry’s top local South African manufacturers. We specialise in custom performance mufflers without sacrificing any warranties. 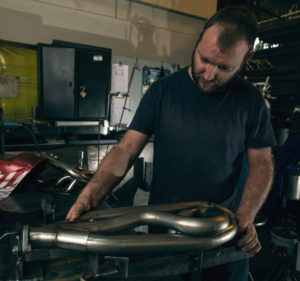 Performance demands quality and our staff consists of specialists in the exhaust and welding trades. Located in Hermanstad, Pretoria, South Africa, we are proud to warehouse and stock the finest aftermarket products and accessories for your vehicle. Our expertise is in the design and manufacturing of excellent products by implementing reliable, quality and available components. Our focus is to provide “fuel efficiency” performance exhaust systems with durability and uncompromisingly highest product quality. Products are designed to produce the absolute best performance exhaust available. 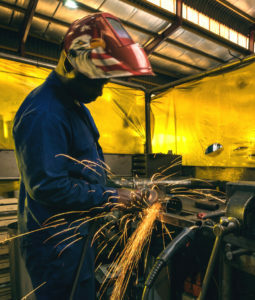 To ensure high quality craftsmanship, our staff consist of specialists in exhaust and welding trades. Our philosophy is to manufacture in-house, to have full control over the process, materials, technology and final products. We aim to achieve our vision through total service satisfaction to you, our customer in terms of product reliability, prices, quality and product knowledge. Reducing cost through continuous effective improvements, utilisation of technology in terms of processes and systems. Long term relationships with our clients, dedicated team efforts and our consistent focus on quality and excellent value for money have made our De Graaf brand what it is today. Around the globe we are the alternative to the original exhaust parts of the commercial vehicle manufacturers. Considering the extensive range, it is absolutely unique in the international independent aftermarket (IAM) to be able to supply purpose built performance systems. De Graaf custom designed Performance Systems are recognised for the right DESIGN, the right SOUND, and the right POWER delivery, combined with perfect fit and durability. De Graaf management and employees strictly adhere to the ethical standards set by the industry. De Graaf Exhaust Systems undertakes to continue to implement current technology and look forward to being presented in the future with increased opportunities and contracts, within the local and greater global market. We foresee a huge demand for better quality performance aftermarket systems. Our solution, which we have already implemented for this future predicament, are our relationships established with international specialist firms. Have this at hand, we are more than confident in approaching projects with experience and expertise. At De Graaf we pursue up-to-date and controlled quality management systems that satisfies the differing requirements, specifications and conditions specified by our customers. The quality management system manual serves as a modus operandi for the company to ensure commitment to, and the enforcement of the policies and processes. This policy is retained by management to operator level.